Established in 1933, Yorkshire Friends Holiday School has grown and changed considerably over the years and now regularly hosts over 100 13-18 year olds each year. 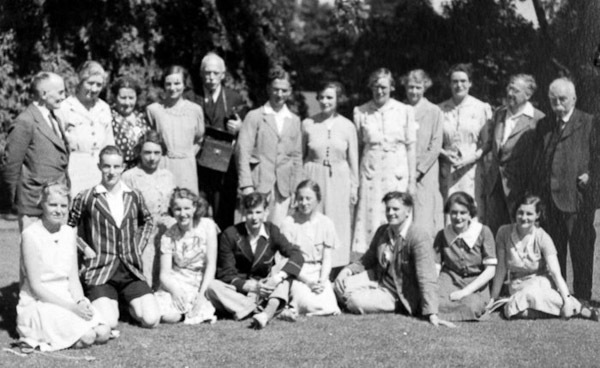 Initially it was created to give young Quakers who could not attend a Quaker School such as Ackworth, or The Mount, an opportunity to experience what life was like for a Quaker boarder. Our interactive sessions are a far cry from the ‘lessons’ provided in those days! YFHS has been held in a number of venues, including those schools mentioned above. Currently it has found its home at Bootham in York, which provides us with excellent accommodation and fantastic facilities. An archive of historic photos and information can be found in the members section. If you have been a participant before, please contact us for access.